Hey everyone! Today I have a new polish from Crows Toes to show y'all. Finnnally, IT'S HOODIE TIME!! will be included in September's A Box, Indied. A Box, Indied is a monthly box that is sold through Llarowe. Each month has a central theme and will include 5 polishes or nail products from 11 rotating indie brands. 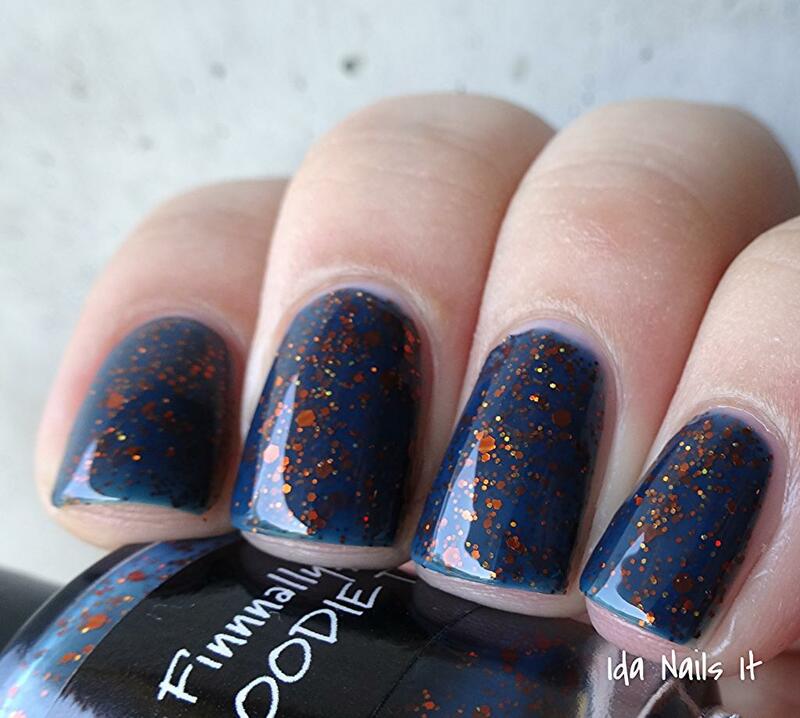 For the month of August, the theme is Fall into Autumn, and I know that polishes from Contrary Polish and Jindie Nails will be included but more should be revealed soon. Jenny from Lavish Layerings shows us Contrary's The Mellower Season, love her photos! Crows Toes Finnnally, IT'S HOODIE TIME!! 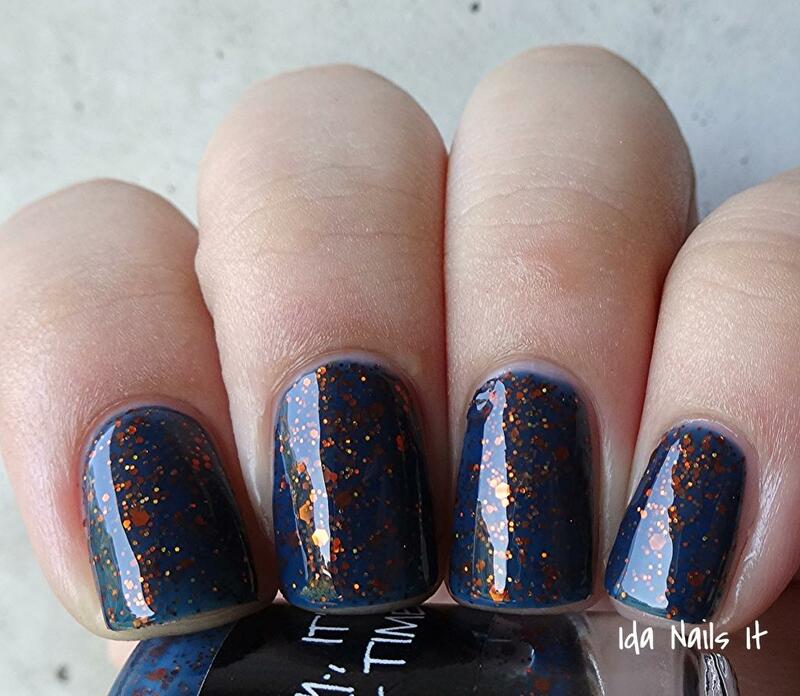 Navy blue jelly base with varied orange glitter. Wonderful! 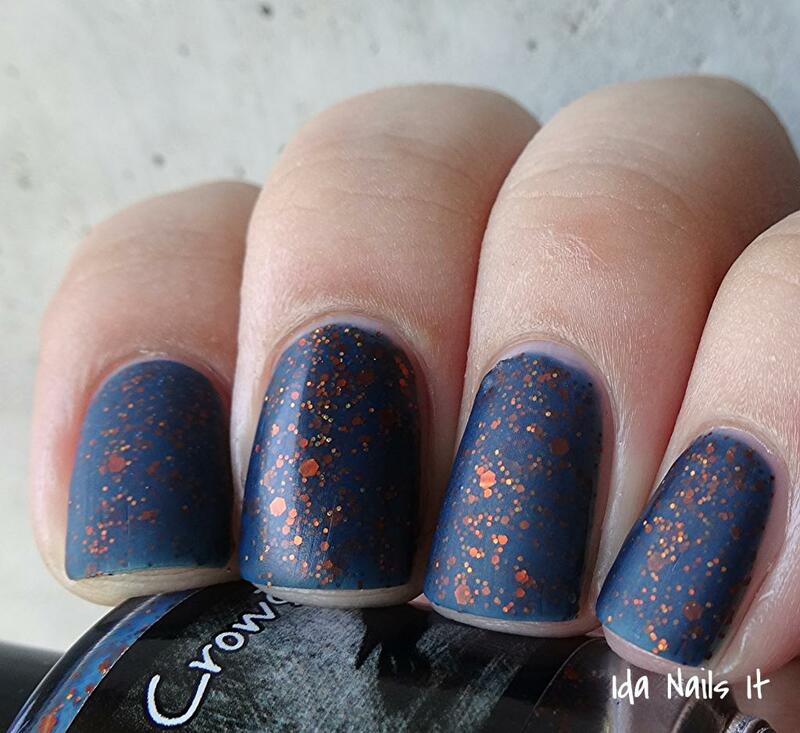 It's a polish that definitely gets in the mood for fall. I love how the orange glows in the dark blue base. And I especially like the color reference, Lauri (Crows Toes) was inspired by her Syracuse hoodie that she pulls out every fall. Hmmmm, YES. You NEED to matte this polish. The orange glows just a bit more brightly and the blue base is that much bolder. Finnnally, IT'S HOODIE TIME!! will only be available by purchasing September's A Box, Indied from Llarowe and will be available on August 26th. Make sure to follow Crows Toes on Facebook and Instagram for updates, as well as Llarowe on Facebook. Such a cool color! I like it mattified. Wow, great swatches and love this color combo!